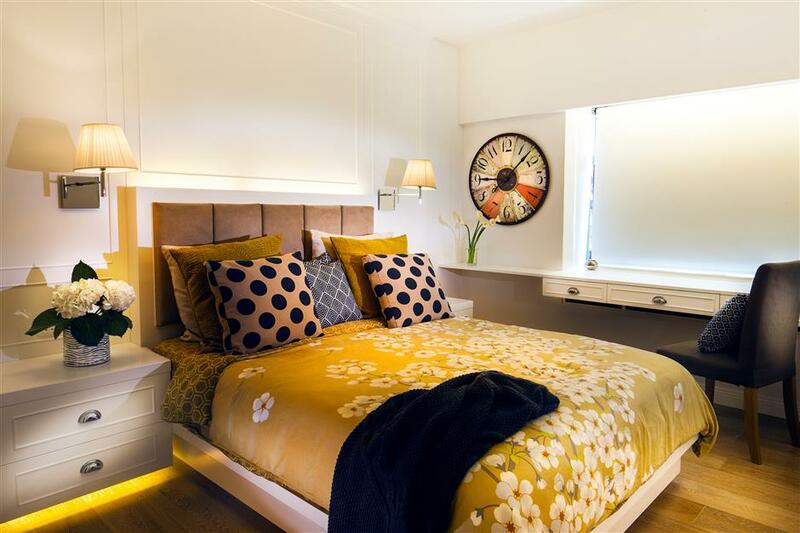 When Winnie Shek was looking for an ideal family apartment in Hong Kong, she wanted a good-sized flat for a family of six. “Good location that’s accessible to every parts of the city is essential. I also considered the property developer and the property manager too,”Shek said. 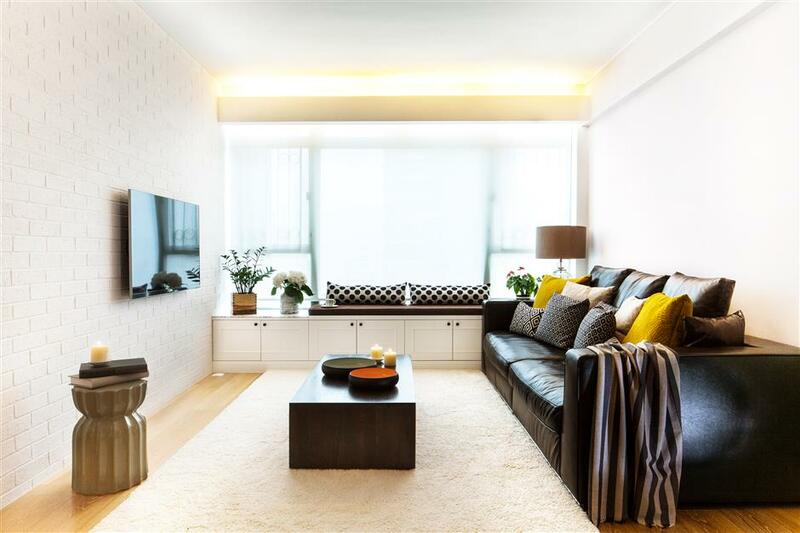 The apartment she found in Robinson Place, Mid-Levels, was satisfactory in size, location and had good lighting, but she was not satisfied with the diamond-shaped living room. The shape made it difficult to place the TV. Another drawback was that the property had no balcony. To make the home more welcoming and luxurious, Shek approached designer Clifton Leung for help. “I love reading interior design magazines and websites,” she said. The brief Shek gave to Clifton Leung Design Workshop was to maintain a sense of style, make it feel spacious, bright and uncluttered, while accom- modating four children. Built-in furniture in the living and dining area provides plenty of storage, but they have kept it discreet, with white cupboards disappearing against the white walls. “I like the French and modern furniture style. I did a lot of online research at the beginning and you can never be too lazy to shop around and feel the actual furniture and quality,” she said. The color palette is neutral and light-colored to achieve the desired modern classic look.It took the designer and team five months to finish the renovation. “The living room was an old diamond shape; the kitchen was a tiny triangle and there was a lot of wasted space. We needed to make the smallest area work too. It was a bit like a jigsaw puzzle, getting everything to fit exactly,” Leung said. Leung began by building a wall to square off the living room. He created a mall study in the wedge-shaped space behind the new wall (on which the television is currently mounted), and borrowed redundant corridor space in order to enlarge the kitchen and reconfigure it. They kept the exposed bricks of the new wall and painted them white to add texture, visual interest and the contemporary feel of a New York loft. To create a casual eating area, they opened up the kitchen wall and replaced it with a countertop, with cupboards on one side and a breakfast bar with stools opposite the study nook. By opening up the kitchen wall, it saved space and brought natural light into the kitchen and study. The open wall also meant anyone in the kitchen could keep an eye on the children in both the study and living areas. The dining area features bench seats and a pendent light that looks like a shelf of candles, creating a distinct feel of a modern cafe. “Overhead cupboards further define and separate the kitchen. Putting the breakfast bar in the corridor creates another area from what was dead space,” the designer said. “In keeping with the modern-classic theme, the doors are subtly decorated with simple mouldings and contemporary versions of vintage shell handles,” Leung said. As well as a wall of cupboards in the dining room, there’s a large sideboard and more storage under the window seat and under the dining-room bench in the same design. 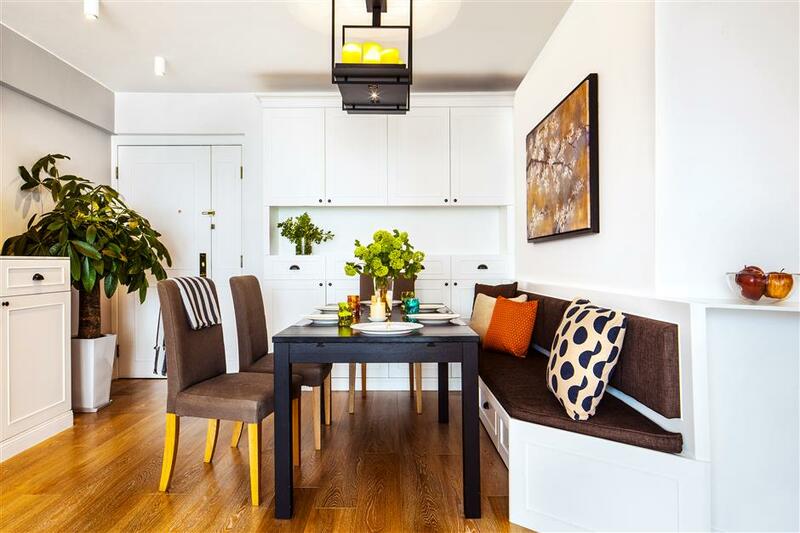 The cafe-style bench keeps the dining room relaxed, which is more appropriate for family dining. For the semi-open kitchen, the team deliberately placed the appliances — fridge and cooker — where they can’t be seen from the living room. “I love that you can look down the corridor and there’s so much going on — the breakfast bar, the study and kitchen,” Leung said. The master bedroom, according to Leung, is an exercise in disguise with calm neutral tones, a large picture window with views of the harbor and paneled walls. In front of the window, the simple desk has a lift-up panel that becomes a dressing table. The homeowners are fans of hotel decor, which is particularly evident in the master bedroom. “It feels like a hotel room — it’s clean, neat and comfy. And a couple of props, such as the multi-colored clock, lift the style and make it more personal than a hotel suite,” Leung said. At the end of the bed, the panels slide back to reveal a TV, while a double wardrobe door opens to a hidden marble bathroom. Keeping the facades the same, the “wardrobe” on the side of the bedroom is actually a door leading to a hidden en-suite bathroom. Like the rest of the apartment, the apparent simplicity of the design disguises some carefully considered details. Electric sockets and cables are hidden in special compartments within the desk; wall lamps for each bunk mean one child can read without disturbing the other, and the bunks have extra side-out mattresses for sleepovers. The bunkbed stairs are practical and fun. The kids can display their toys under the steps, walk on the desk and the size of the bunks give them privacy. “We wanted to make the communal spaces inviting and cozy, like one of those cool but casual bistros that serves great home-cooked food — a place that you’d like to come back,” the designer said.